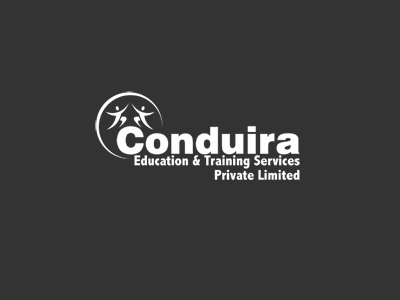 Conduira - Company profiles. GRE, GMAT, CRT, PeP, CAT,MAT Preparation | Coaching and Training Institute . Online Tests for all courses through AIM. Cognizant is a global leader in business and technology services that helps clients bring the future of work to life – today- in a business environment that is being transformed by accelerating globalization, virtualization and the shift toward cloud technologies. With a Two-in-a-Box™ client engagement model, the client is assured the onsite attention of a Client Manager, experienced in that specific industry, working on site with the client. Paired with the Client Manager is a dedicated Delivery Manager, who may be located at any of Cognizant global, nearshore or local delivery centers. One team is assigned to work on to the project from start to finish, becoming an extension of the client’s staff. They have more than 815 clients span five continents and every major industry. With an advanced global delivery platform, Cognizant 2.0 (C2), they can share knowledge and efficiently manage projects across their global delivery network. It allows them to provide the client with the most cost-effective and comprehensive, end-to-end, advanced solutions. To serve growing demand, their geographic reach extends across the globe, with 50+ delivery centers in 14 countries. The team members on the ground in the United States, Canada, the United Kingdom, Ireland, Germany, France, Germany, the Netherlands, Switzerland, the Czech Republic, Hungary, India, Argentina, Australia, Singapore, Malaysia, Japan and China all linked via their Cognizant 2.0 knowledge-sharing and project-management platform. Google has packed a lot into a relatively young life. Since 1998 when it was founded, It has grown to serve hundreds of thousands of users and customers around the world. Founders Larry Page and Sergey Brin while still at Standford had built a search engine (initially called BackRub in 1996) that used links to determine the importance of individual webpages. They named the search engine as “Google,” a play on the word “googol,” the mathematical term for a 1 followed by 100 zeros. Google Inc. was born in 1998, when Sun co-founder Andy Bechtolsheim wrote a check for $100,000 to that entity—which until then didn’t exist. The first “Google doodle” in 1998 was intended to let visitors to the homepage. There’s now a team of “doodlers” and they’ve posted more than 1,000 different doodles on homepages worldwide. On April Fools' Day in 2004, Gmail was launched. The approach to email included features like speedy search, huge amounts of storage and threaded messages. The Initial Public Offering of 19,605,052 shares of Class A common stock took place on Wall Street on August 18, 2004. They acquired digital mapping company Keyhole in 2004, and launched Google Maps and Google Earth in 2005. Today Maps also features live traffic, transit directions and street-level imagery, and Earth lets you explore the ocean and the moon. In 2006, they acquired online video sharing site YouTube. Today 60 hours of video are uploaded to the site every minute. Google announced Android—an open platform for mobile devices—and the Open Handset Alliance, in 2007. Word got out about Google Chrome a day ahead of schedule when a comic book introducing their new open source browser was shipped earlier than planned. Google Chrome was officially launched on September 2, 2008. In June 2011, they introduced the Google+ project, aimed at bringing the nuance and richness of real-life sharing to the web, and making all of Google better by including people, their relationships and their interests. Larry Page - Google’s original CEO until 2001, took up the title again in April 2011. Eric Schmidt - now executive chairman, served in the role for 10 years. Infosys Limited defines designs and delivers IT-enabled business solutions to enable Global 2000 companies to build their enterprises of tomorrow. Their solutions focus on providing strategic differentiation and operational superiority to clients. They leverage their domain and business expertise along with a complete range of services. By leveraging the Global Delivery Model that Infosys pioneered it can assure its clients of a transparent business partner, world-class processes, speed of execution and the power to stretch its IT budget. It also offers business and technological consulting, application services, system integration, product engineering, custom software development, maintenance re-engineering, independent testing and validation services, infrastructure services and business process outsourcing. It has also ventured into Business Process Outsourcing (BPO), Cloud, Mobility. Infosys has a global footprint with sales offices in 32 countries and development centers in India, US, China, Australia, UK, Canada, Japan and many other countries. Infosys has over 151,151 employees of 95 nationalities. They can transform the fundamental shape of the client’s business P&L - IMPACT – to ensure a clear line of sight from process change to bottom-line impact, ensuring that the client receives the business value that he was promised. Beyond transformation and innovation, it boils down to execution - delivering on time, on budget and "on value”. They optimize the client’s core operations to drive best-in-class efficiency and help fund the transformation and innovation. They inject a level of product and service innovation into the client’s business to create new revenue opportunities through collaboration and co-creation. The foundation of innovation capability is the core lab network – Infosys Labs – and the new thinking that the team of over 600 researchers brings to the table. For over two decades, Mahindra Satyam has been committed to creating value for its customers, investors, associates and the society at large. This commitment has constantly fuelled the journey, encouraging them to think differently, work with passion and make things happen. Today, after 20 years, their commitment, passion and entrepreneurial spirit have only grown bigger, spurring them to look ahead and continue their journey towards achieving greater heights of Value Creation. Mahindra Satyam formerly Satyam Computer Services, is an Indian IT services company based in Hyderabad, India. It was founded in 1987 by B Ramalinga Raju which later merged with Tech Mahindra. Mahindra Satyam is a part of the Mahindra Group which is one of the top 10 industrial firms based in India. The company offers consulting and information technology (IT) services spanning various sectors. As a leading global information, communications and technology (ICT) company, it is one of the top 10 business houses based in India. They are powered by a pool of talented IT and consulting professionals across enterprise solutions, client relationship management, business intelligence, business process quality, operations management, engineering solutions, digital convergence, product lifecycle management, and infrastructure management services, among other capabilities. Mahindra Satyam headquartered in Hyderabad, India has development centres and/or regional offices in USA, Canada, Brazil, the United Kingdom, Hungary, Egypt, UAE, India, China, Malaysia, Singapore, and Australia. They have their development and delivery centers in the US, Canada, Brazil, the UK, Hungary, Egypt, UAE, India, China, Malaysia, Singapore and Australia serve numerous clients, including several Fortune 500 companies. Leaders at Mahindra Satyam in their unique roles as corporate executives, address these fundamental activities of the corporate office. Tata Consultancy Services Limited is an Indian multinational information technology (IT) Services, business solutions and services outsourcing company headquartered in Mumbai, Maharashtra. TCS is a subsidiary of the Tata Group. It is listed on both BSE and NSE. Tata Consultancy Services (TCS) was founded in 1968. It started its operations with a project of punched card services to sister company TISCO (now Tata Steel),later working on an Inter-Branch Reconciliation System for the Central Bank of India, and providing bureau services to Unit Trust of India. TCS and its subsidiaries provide a wide range of information technology-related products and services including application development; business process outsourcing; capacity planning; consulting; enterprise software; hardware sizing; payment processing; software management; and technology education services, cloud services, platform solutions etc. TCS has a foot print all across the globe spanning 183 offices across 43 countries and 117 delivery centers across 21 countries. Apart from these TCS had a total of 58 subsidiary companies. November 17: N Chandrasekaran, MD and CEO, TCS, wins the Asia Business Leader Award at the 11th CNBC Asia Business Leaders Awards (ABLA), for his ability to retain loyal customers, inspire and motivate staff, and make his vision for the company a reality. November 13: International Data Corporation (IDC), a leading analyst firm, in a press release, dated November 13, 2012, announced that Computational Research Laboratories is one of the recipients of the coveted HPC Innovation Excellence Award. It is now a brand name synonymous with innovation and integrity. Headquartered at Bangalore, India, Wipro implement the philosophy of 'Applying Thought', thereby helping clients to "Do Business Better". Their path breaking innovations and ideas have culminated into the `Wipro Way' – a process which directly impacts customer benefits by improving time-to-market, enhancing predictability and reliability, and cutting costs. Wipro Global IT Business delivers winning business outcomes through its deep industry experience and a 360 degree view of "Business through Technology" - helping clients create successful and adaptive businesses. A company recognized globally for its comprehensive portfolio of services, a practitioner's approach to delivering innovation and an organization wide commitment to sustainability, Wipro Technologies has over 130,000 employees and clients across 54 countries. Wipro, one of the world's most trusted brands, is a name with a long history that powers itself into new ventures. This trust extends to a series of products, services and solutions that cover diverse businesses - from consumer care to cutting-edge information technology. Wipro was established in 1945 as a vegetable oil manufacturer in Amalner, Maharashtra. The company at that time was known as Western India Products Limited. Its main area of business was the production of Sunflower Vanaspati Oil, and later on, soaps and other consumer care products. The 2000s' decade saw Wipro focus on the IT services and BPO business, which today has become the company's primary growth driver, having grown from negligible revenues to about 70% of Wipro's IT revenues, a testimony to the company's ability to scale new businesses. The Corporate Executive Council, led by Azim H. Premji, Chairman, Wipro Limited, has been an active and engaging forum in deliberating the long term vision for the corporation. The Reserve Bank of India was established on April 1, 1935 in accordance with the provisions of the Reserve Bank of India Act, 1934 The Central Office of the Reserve Bank was initially established in Calcutta but was permanently moved to Mumbai in 1937. The Central Office is where the Governor sits and where policies are formulated. Though originally privately owned, since nationalisation in 1949, the Reserve Bank is fully owned by the Government of India. Public Sector Banks (PSBs) are the banks where a majority stake (i.e. more than 50%) is held by a government. The shares of these banks are listed on stock exchanges. Institute of Banking Personnel Selection (IBPS) conducts common recruitment process for all the public sector banks in India (except SBI & SBI Associates ) accept the , SBI & SBI Associate banks have their own recruitment process. State Bank of India (SBI) has announced recruitment of Probationary Officers. The written exam will consist of two parts - an Objective Test and a Descriptive Test. The IInd phase will consist of a Group Discussion of 20 marks and an Interview of 30 marks. The Government of India set up Regional Rural Banks (RRBs) on October 2, 1975,Capital share being 50% by the central government, 15% by the state government and 35% by the scheduled bank. IBPS conducts common recruitment process for all the Regional Rural Banks .